The J. William White papers, deposited at the Girard Trust Company in 1926, were formally turned over to the University Archives in 1947. A large collection of White’s scrapbooks, which were felt by the University Archivist to most relate to the University of Pennsylvania, was opened to the public in 1956. A typescript of J. William White’s diaries, not governed by the terms of J. William White’s will, was given to the University Archives by the Historical Society of Pennsylvania in 1981, and was incorporated into the publicly accessible collection. The scrapbooks and diaries are arranged chronologically. Dr. J. William White was born in Philadelphia in 1850. His father, Dr. James W. White, was the longtime president of the S.S. White Dental Company. He received his M.D. and Ph.D. from the University of Pennsylvania Medical School in 1871. He began his career at the University of Pennsylvania Medical School in 1874, and rose through the ranks as a surgeon and specialist in Venereal Diseases. 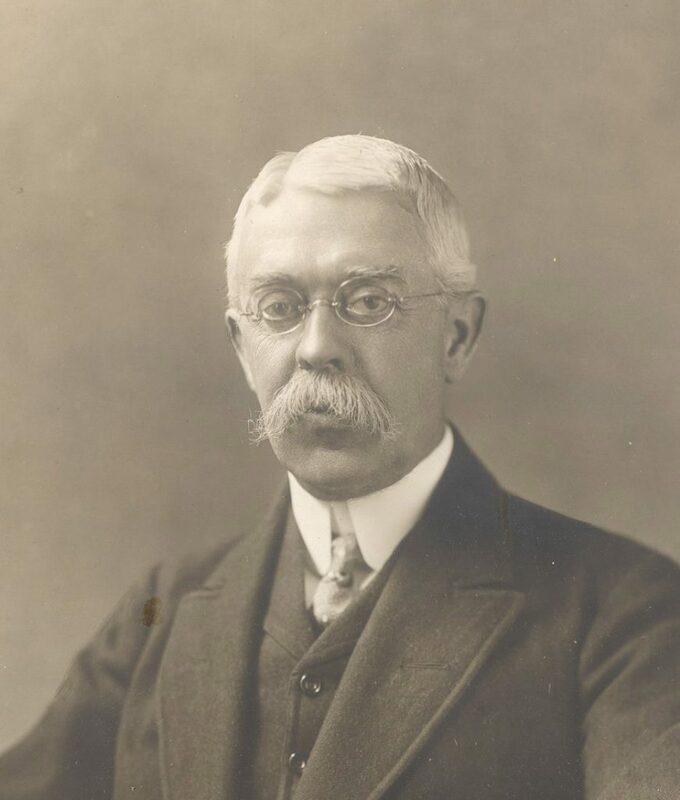 In 1900 he was named John Rhea Barton Professor of Surgery, a position he held for 12 years until his retirement in 1911. In this capacity White co-authored many medical textbooks on surgery, venereal disease and anatomy. In 1912 White was named a Trustee of the University of Pennsylvania. A noted boxer, climber, and hiker himself, Dr. White was an early and significant supporter of Athletics and Physical Education at Penn. In 1884 he was named the University’s first Chair of Physical Culture, a voluntary position which he maintained until 1887. 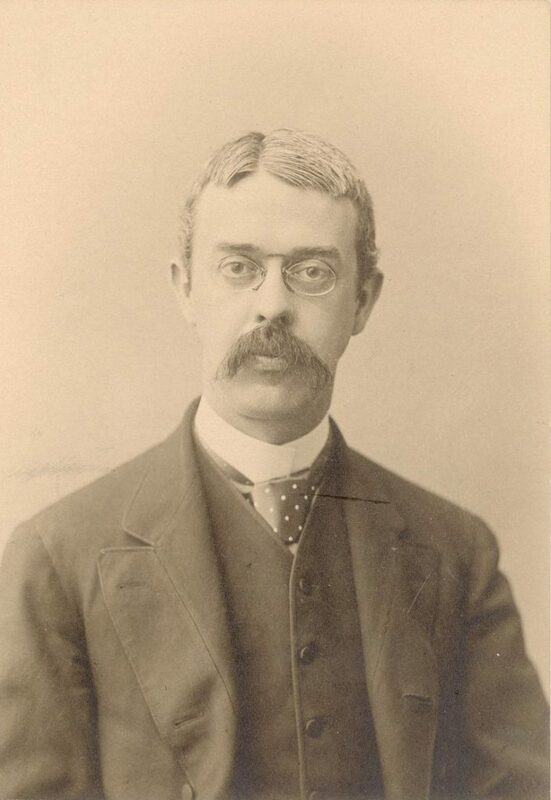 From 1882 to 1890 Dr. White was president or vice-president of the University’s Athletic Association, and throughout the 1890s he served as both formal mentor and adamant supporter of the University’s Football and Rowing programs. In 1905, fund raising efforts headed by Dr. White culminated in the opening of Penn’s first Gymnasium, open to all male students. An important part of the Penn community for over 40 years, Dr. White was also involved in the civic life of Philadelphia. At various times in his career, Dr. White served as Chief Medical Officer for Blockley Hospital, the Eastern State Penitentiary, and the Pennsylvania Rail Road. He also chaired the Fairmount Park Commission, served on the committee overseeing Philadelphia’s Department of Charities and Correction, and belonged to many social, service, chess and medical clubs and organizations. Dr. White’s extensive annual travels in Europe, and close friendships with Americans and Englishmen such as the painter John Singer Sargent, the English doctor Sir Frederick Treves, the writer Henry James, and former President Theodore Roosevelt, made him acutely aware of Europe’s plight at the start of the first World War. His sympathy for the suffering Belgian nation lead him to spearhead relief fundraising drives, and, in 1915, to serve in a University of Pennsylvania Medical School unit at the American Hospital in Paris. To raise American awareness of the war in Europe, Dr. White published A Primer of the War for Americans in 1914, which was enlarged in 1915 to A Textbook of the War for Americans. In 1888 Dr. White married Letitia Brown. “Letty” was Dr. White’s constant traveling companion, accompanying him all but his final summer voyage in the summer of 1915. Dr. White died in 1916. The J. William White collection consists of scrapbooks of newspaper clippings, diaries in manuscript form and typescripts of those diaries, diplomas and certificates, pamphlets and books written by and about White and his family, and letters from White’s voyage on Professor Louis Agassiz’s Hassler Expedition of 1872. Of this material, selected scrapbooks and diary typescripts are currently open to the public. The scrapbooks are comprised almost exclusively of clipped newspaper articles, and include coverage of the University of Pennsylvania Football team from the late 1890s until 1916. The diaries were written during J. William White’s annual summer travels throughout Europe, and his summer adventures in the United States, Canada and the Caribbean. White unfortunately did not keep a diary during the academic year. University of Pennsylvania. Intercollegiate Athletics and Recreation.